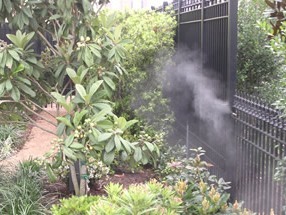 Mosquito misting and spray systems are some of the popular methods of controlling and deterring mosquitoes. They can take various forms although they mainly involve an automatic misting system and manual mosquito spray. In this method, an insecticide solution is sprayed manually onto foliage in an area that is to be treated. This can be a domestic yard, municipal park, garden, industria l and commercial premises are some of the areas where mosquito control is needed. You should note that the treatment is not only meant to control the mosquitoes when they are biting people or flying but attacks them when they are at rest. Moreover, the method deters them from approaching a particular area. You should note that mosquitoes tend to rest late morning and late at night. They lie dormant when they are not feeding. You can easily find them in deep grass, hiding in damp areas, or on the underside of foliage leaves. You will also find them in areas such as guttering, drains, downspouts, and unused fountains and many more. It is in those areas that the mosquito spray can be focused and ensures underside of the leaves are treated. Therefore, you have to take wet weather into account. In fact, rain does not directly impinge on treated areas. It is true any treatment, which lies on the exposed surfaces is likely to be affected by rain. Fortunately, hidden areas where mosquitoes get cover are unlikely affected by rain. These mosquito misting systems are used in commercial and domestic premises. Usually, there is a lot of foli age, which needs to be treated. Therefore, it makes sense to program the misting system to work at certain times. It is advisable to activate them early in the morning when these insects are becoming active and at dusk for the same reason. Usually, a fine spray is produced that destroys the mosquitoes that are in motion. Moreover, it creates a treated barrier around an area, which hinders the from getting inside. Mosquito repellants used are very effective and powerful. They repel the insects and kills those, which come into contact. The main insecticides, which are used in misting and spray system include permethrin and DEET. The rather is known to have some health issues, while the former is known to be safe.